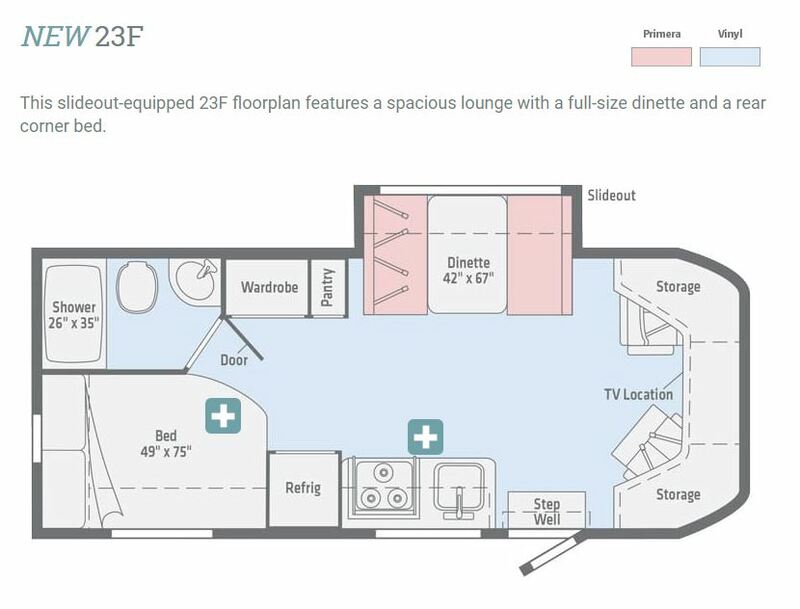 Winnebago unveiled the new Fuse 23F floorplan adding a new option to the already popular Fuse lineup. 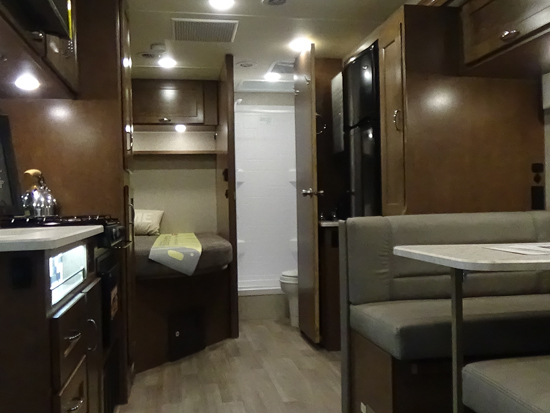 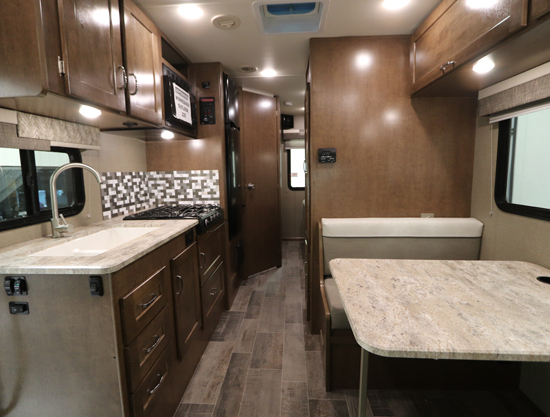 At only 24′ long – the Winnebago Fuse has all the amenities of larger class C’s with a full bathroom, queen sized bed and plenty of storage. 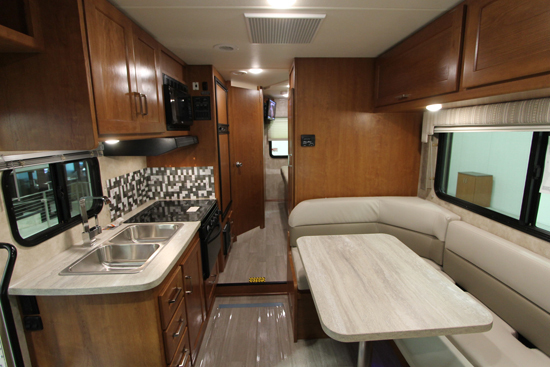 The Winnebago Fuse 23F boasts large holding tank capacities for a coach of its size. 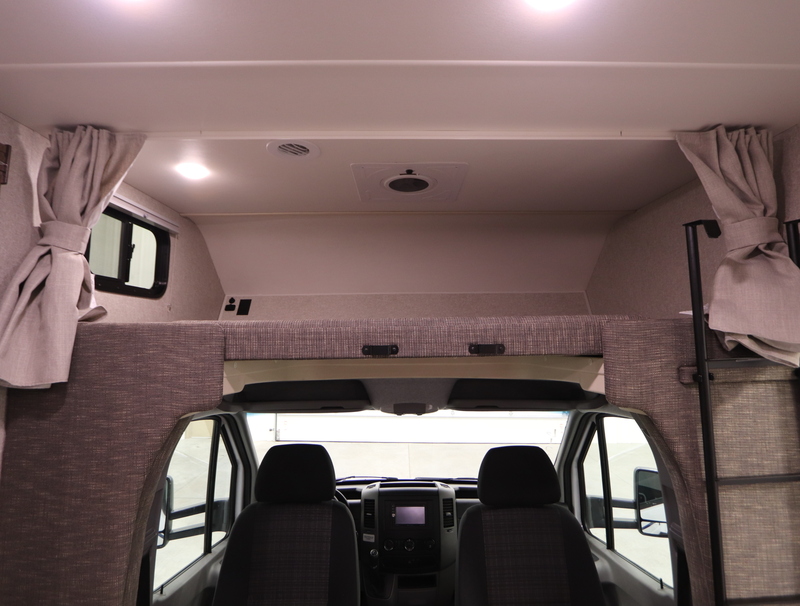 With a 33 Gallon Fresh Water Tank, 40 Gallon Black Tank and 43 Gallon Gray Tank you’ve got what you need to go wherever your travels may take you. 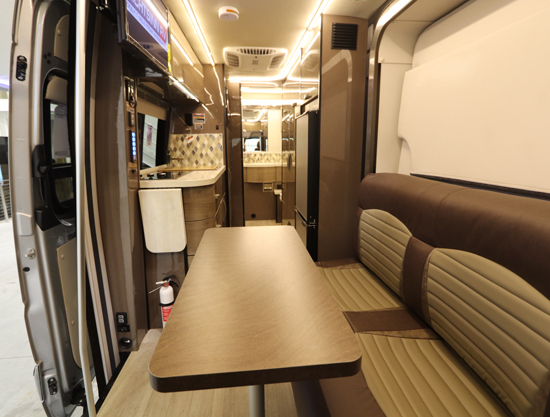 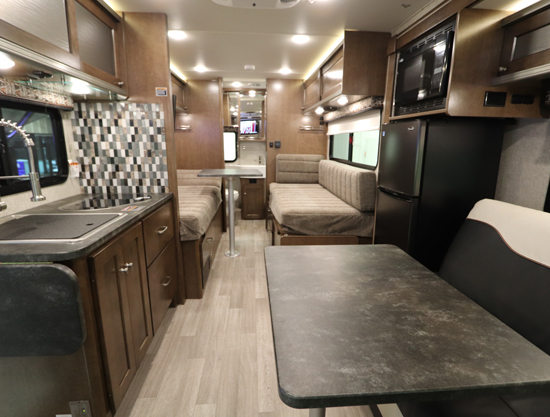 Designed around the Ford Power Stroke diesel engine, the Winnebago Fuse comfortably accommodates up to four adults in a nimble, fuel-efficient package. 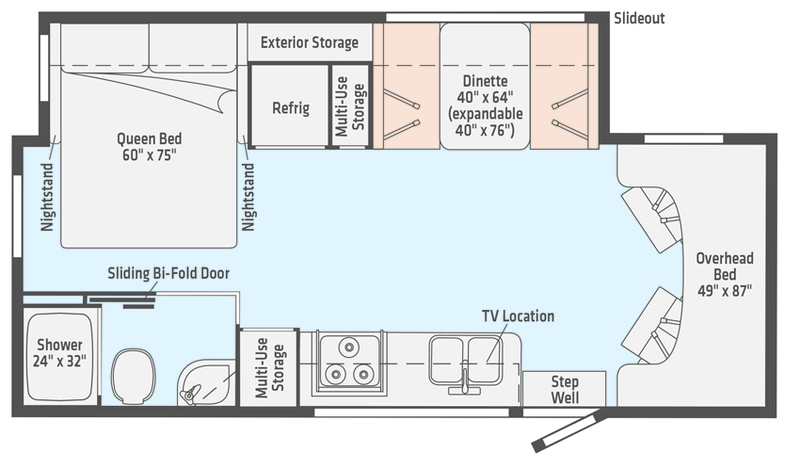 Three surprisingly roomy, slideout-equipped floorplans come complete with a full galley, entertainment system, and a full bath with a shower. 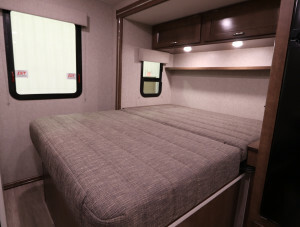 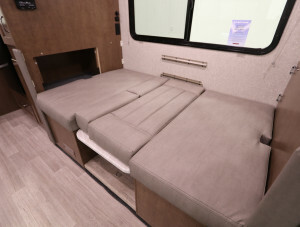 In the rear-bath 23A, the Flex Bed System lets you opt for twin beds or a single queen bed, the 23T features a corner bath and walkaround queen bed, and the 23F a convenient corner bed. 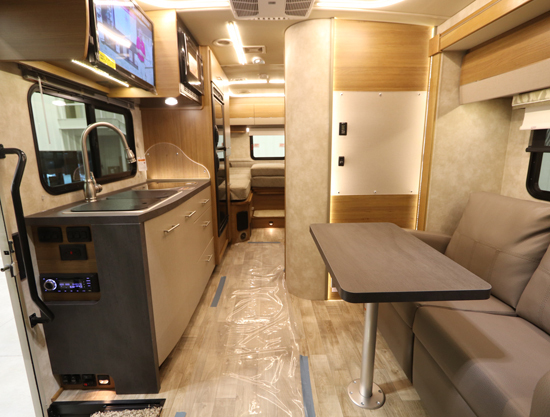 Each Fuse includes a powered armless patio awning with LED lighting, solar charging system, and a residential 110V refrigerator, while the available bike rack and a host of other options let you configure your Fuse to your needs and taste. 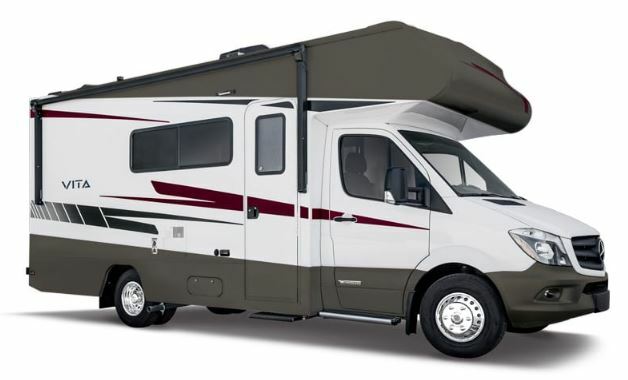 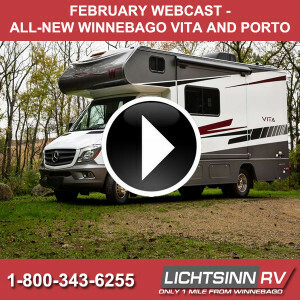 For more information on the Winnebago Fuse 23F please call 1-800-343-6255 to speak to a Lichtsinn RV Sales Consultant!